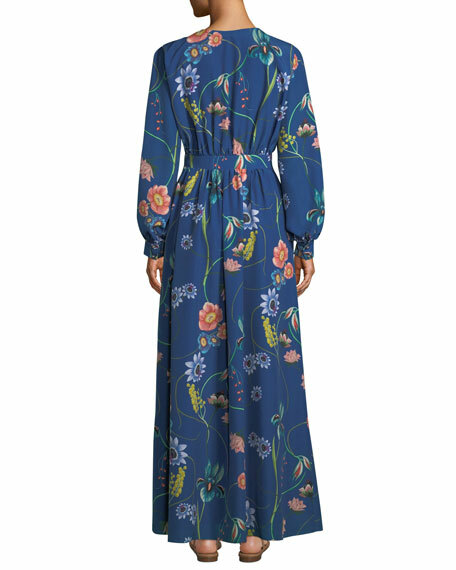 Borgo de Nor "Francesca" floral-print crepe dress. Long blouson sleeves; two-button cuffs. Made in UK of Italian materials. 3x1 "Faye" dress. Spread collar; button front. Long sleeves; button cuffs. Yoked back; inverted pleat. Shift silhouette. 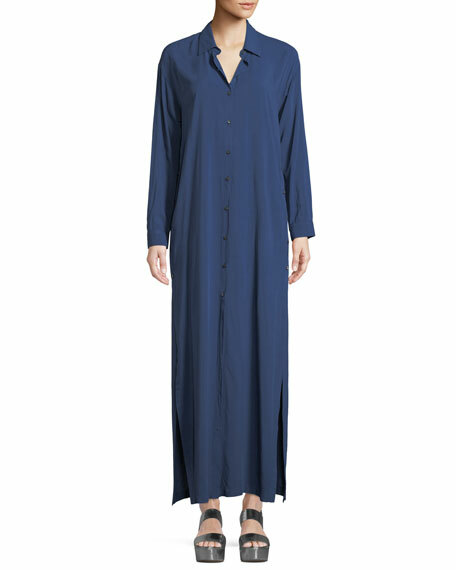 Side split hem with button-up sides. Maxi length. Rayon. Made in USA of imported material. A.L.C. 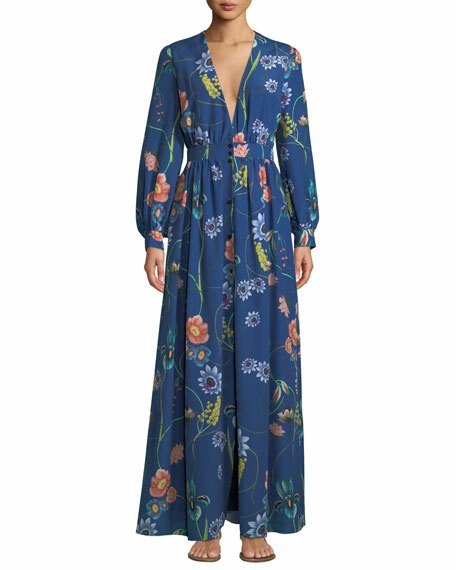 "Titus" maxi dress in floral-print silk. Deep V neckline; wide racerback. Sleeveless; spaghetti straps. Cutout sides and back. Tiered A-line silhouette. Arched hem. Pullover style. Lining: polyester. Imported. 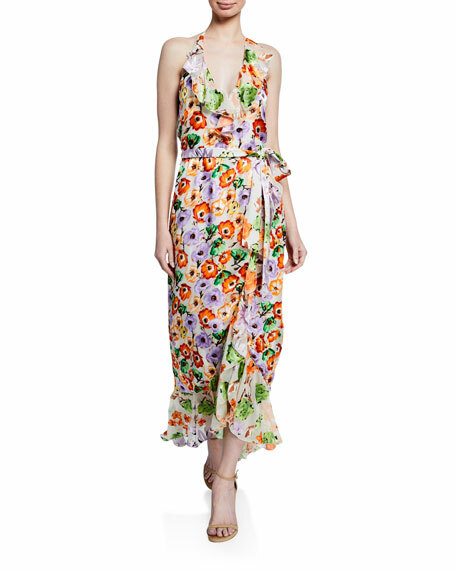 Alice + Olivia "Evelia" floral-print ruffle dress. Halter neckline; ties behind neck. Sleeveless. Self-tie sash at waist. 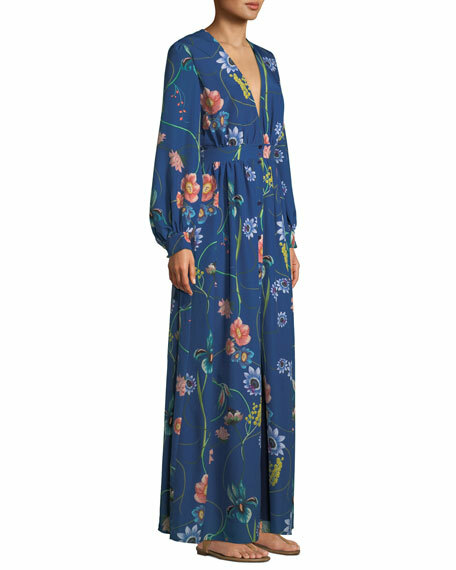 Maxi silhouette. 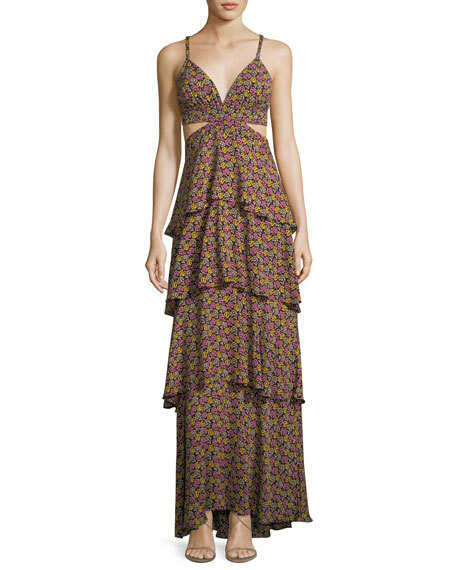 Ruffle hem. Exposed back zip. Viscose/silk shell & combo. Polyester/spandex lining. Made in USA of imported material. 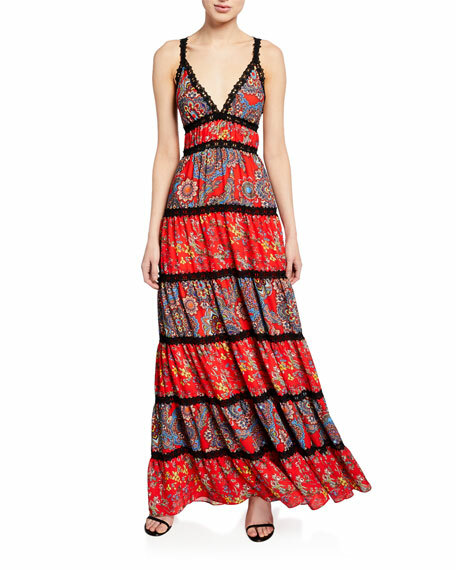 Alice + Olivia "Karolina" floral-print dress with lace trim. Approx. 55.1"L from shoulder to hem. Deep V neckline. Straps cross at back. A-line silhouette. Maxi length. Back zip closure. Polyester main & combo. Polyester/spandex lining. Imported.